Finally, season 8 of Game of Thrones premieres on Sunday. What you should know before the final season kicks off. And here’s a complete guide to the 8th and final season. That’s quite a motley crew of suitors from which Pauly D and Vinny have to choose. Yikes. Nevertheless there remains something oddly charming about them. CBS has renewed NCIS for a 17th season. Amazon has renewed Hannah for a 2nd season. Here’s how Transparent will write Jeffrey Tambor out, in the event you still care. Disney’s streaming service will cost you $7 per month and Wall Street obviously believes people will come in droves and Disney’s stock was up 10% this morning. ICYMI, Disney+ launches in November and will feature everything from Disney’s recent theatrical releases, to classic Disney movies, to new, original movies and series, to much much more. They will be investing over $1,000,000,000 into making original content. Disney also announced that Disney+, the upcoming Disney direct-to-consumer platform, will be the exclusive SVOD home of The Simpsons. “A Jeff Goldblum-led docuseries will be among the series available on Disney’s upcoming streaming platform Disney+, the company announced Thursday at its Investor Day presentation at its studio lot in Burbank, Calif. Called The World According to Jeff Goldblum, the series comes from Disney-owned National Geographic. Per Disney: ‘Jeff pulls back the curtain on a seemingly familiar object to reveal a world of astonishing connections, fascinating science, and a whole lot of big ideas.’” Oh yeah, this CAN’T miss! Of course, not everyone is enamored with Disney’s plans or thinks it will be a roaring success. “In a formal proposal to the Writers Guild of America on Thursday, the Association of Talent Agents offered to share a portion of earnings from package deals with writers. The offer comes one day before the current agreement between the two groups is set to expire. ATA’s proposal would provide an unspecified percentage of packaging fees on a given film or television project with that project’s writers, 80% of which would be shared with writers who are not already participating in profits. Further, ATA’s proposal says this money will be provided regardless of who represents a writer, and that the remaining 20% would be invested in efforts to increase diversity among writers. Packaging — in which agents collect fees for bundling talent and bringing them as a package to a studio or network for film or TV projects — has been the primary point of contention between WGA and ATA as they try to hammer out a new agreement. WGA’s position is that packaging creates a conflict of interest for agents, and that it has contributed to a decline in overall earnings for writers. ATA says that packaging is essential to the agencies’ current business model, and that writers who participate in packaging earn more.” I hope the WGA tells them to shove this offer straight up their collective greedy asses, but hey, that’s just me. “Add Jake Gyllenhaal to the list of A-list stars who are heading for television. “The actor will make his TV debut in HBO limited series Lake Success, which, in addition to starring in, he will also executive produce for the premium cable network. “Based on Gary Shteyngart's book Lake Success, the drama revolves around Barry Cohen (Gyllenhaal), a narcissistic, self-deluded and hilariously divorced from the real-world hedge fund manager who flees his family, his past and the SEC on a cross-country bus ride in search of his college girlfriend and a last chance at romantic redemption. Meanwhile, back in Manhattan, his brilliant wife Seema struggles to raise their autistic son and begins a tragicomic love affair of her own. “Shteyngart will adapt his book and co-write the script alongside Tom Spezialy (The Leftovers, Watchmen, Castle Rock). Both will serve as showrunners and will exec produce alongside Gyllenhaal and his Nine Stories banner topper Riva Marker. The series, which is currently in development, will be produced by Endeavor Content and Nine Stories. “Gyllenhaal joins sister Maggie Gyllenhaal at HBO, with the latter starring on the third and final season of David Simon's The Deuce this year. With Lake Success, Jake Gyllenhaal will reteam with Marker, who previously produced the sold-out Broadway revival of Stephen Sondheim's Sunday in the Park With George, in which the actor starred opposite Annaleigh Ashford. Gyllenhaal and Marker founded Nine Stories in 2015 and has produced features including Wildlife, Stronger, Hondros and Netflix's upcoming feature The Devil All the Time, starring Tom Holland, Chris Evans and Robert Pattinson. The company remains aggressive in the source material space, developing a number of projects after optioning source material. Gyllenhaal's previous producing credits include the features End of Watch and Nightcrawler. Marker's credits include The Kids Are All Right and Beasts of No Nation. “For Spezialy's part, Lake Success extends his relationship with HBO, where he currently serves as an exec producer on Damon Lindelof's upcoming take on Watchmen. Spezialy is repped by CAA, Manage-ment and Jackoway Austen. “Shteyngart, meanwhile, is the award-winning author behind the memoir Little Failure and the novels Super Sad True Love Story, Absurdistan and The Russian Debutante’s Handbook. Lake Success was named one of the best books of 2018 on more than 30 lists, including The New York Times, NPR and more. “Gyllenhaal's credits include Velvet Buzzsaw, Wildlife and Brokeback Mountain. 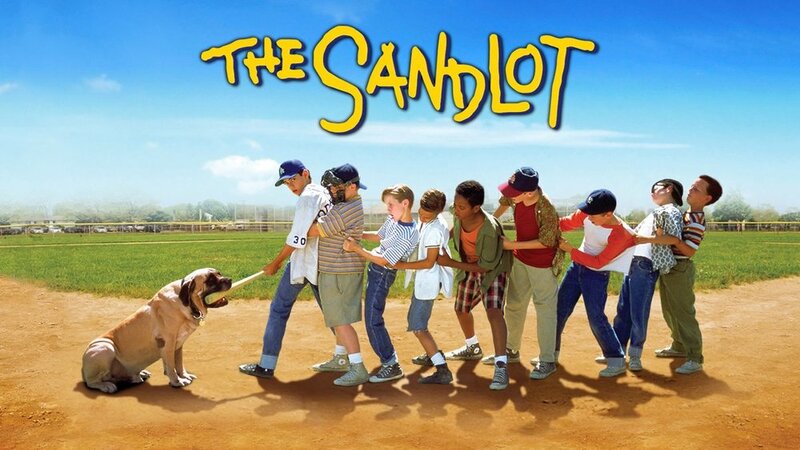 Per Deadline, “Disney+ is priming The Sandlot for its streaming service, with the 1993 movie’s original director and co-writer David Mickey Evans attached to write and executive produce. “Deadline hears the series is in early development. The Sandlot is the second 20th Century Fox-related IP announced today to be developed for Disney’s streaming service. Earlier today, a Love, Simon TV series based on Greg Berlanti’s movie from last year was announced for Disney+ with This Is Us executive producers/co-showrunners Isaac Aptaker and Elizabeth Berger, who wrote the movie, writing/executive producing via their overall deal at 20th Century Fox TV. “The Sandlot series will be set in 1984, when the original cast are adults and they all have children of their own. “The streaming series will be separate from the The Sandlot prequel film which Evans is writing with Austin Reynolds, which is to take place in the 1950s. The series will take place in 1984 and focus on the children of the original kid team in the movie. “The original Sandlot movie is set in 1962 and centers around Scottie Smalls (Tom Guiry) who, after moving to a new neighborhood, befriends a group of boys who play baseball at the sandlot and get into a series of touching adventures. More Disney+ news from The Hollywood Reporter: “Greg Berlanti's beloved Fox 2000 feature Love, Simon is getting the TV series treatment. “Disney+, the forthcoming direct-to-consumer streaming platform, has handed out a straight-to-series order for a series based on author Becky Albertalli's Leah on the Offbeat, her sequel to Simon vs. the Homo Sapiens Agenda, on which Love, Simon was based. The project hails from now Disney-owned 20th Century Fox Television, whose since shuttered sibling film studio Fox 2000 produced and distributed the 2018 movie. “Screenwriters Elizabeth Berger and Isaac Aptaker will return to serve as showrunners on the Disney+ series, which will feature a new cast. Berlanti — who directed the former Fox 2000 pic that was the first feature with a gay lead — will not return in any capacity on the series. The prolific producer, who has a record number of scripted series currently on the air, is precluded from being involved with the new Love, Simon series due to his exclusive overall deal with Warner Bros. Television. “The Disney+ series gives Berger and Aptaker two shows, as the writing partners also serve as co-showrunners alongside creator Dan Fogelman on the NBC hit This Is Us. “The decision to revisit Love, Simon comes after Disney acquired rights to the property in its $71.3 billion Fox asset buy. Disney had planned to keep Fox 2000 — the Elizabeth Gabler-run studio focused on female-focused mid-budget films — in the fold, but shockingly shuttered the shingle behind such features as Walk the Line, The Devil Wears Prada, Hidden Figures, The Hate U Give and Love, Simon. With Disney doubling the number of films it produces, there apparently was no room for Fox 2000. It's unclear what will happen to Gabler and her team. “Houston Rockets point guard Chris Paul is teaming up with Live PD producer Big Fish Entertainment to develop and produce TV and digital content. “Paul and his Oh Dipp!!! Productions have signed an overall deal with Big Fish, an MGM company, to create content for multiple platforms. He will work with Big Fish president Dan Cesareo and his team on a range of projects involving both sports and entertainment, including scripted and unscripted series, documentaries and shortform content. “Several projects are underway, including a competition show in which celebrity families square off in an ‘epic’ game night. In addition to executive producing, Paul may host or star in several of the projects. “The overall deal extends an existing relationship between Paul and Big Fish, who previously collaborated on the ESPN docuseries Chris Paul's Chapter 3. The three-part project chronicled Paul's move to the Rockets.